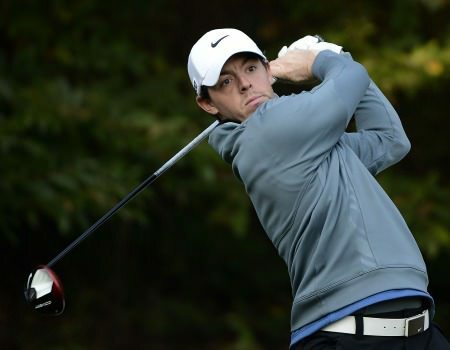 US Open champion Rory McIlroy added US$81,622 to his bank balance, not including what is believed to be a six figure appearance fee, when he finished six shots behind winner Rickie Fowler in the Kolon Korea Open. Having blown his chances of a fourth tour victory by shooting 73 to Fowler’s 63 in Saturday’s third round, McIlroy produced a closing seven under 64 to finish solo second on 10 under par. While he his finiding winning to be a difficult habit to learn, McIlroy is nothing if not consistent. This was his second successive runner up finish, his 12th top-10 and 7th top-5 from 20 events in a season that has brought him his first major. As for Fowler, it was was his first win as a professional though he will no doubt be reminded that he is still winless on the PGA Tour when he returns to the US with his cheque for US$249,864. “It was a lot of fun,” said Fowler after his final round 68 left him on 16 under. “I played well early on in the final round and then I was comfortable over the last few holes. Overall, I enjoyed the whole week. As for McIlroy, it was too little too late for the 22-year old Co Down man, who admitted that all the damage was done on Saturday, when he dropped six shots in eight holes mid-round. “It was a nice way to finish, but all the damage was done during the third round with a couple of bad holes in the middle of the round,” said McIlroy of a the 73 that left him 10 shots behind Fowler with a round to go. McIlroy’s last four finishes now read - third, third, second, second - and he will be closer to world No2 Lee Westwood when the world rankings are updated tomorrow. 268 - Rickie Fowler (USA) 67-70-63-68. 274 - Rory McIlroy (NIR) 68-69-73-64. 277 - Kim Meen-Whee (KOR) 69-71-66-71. 279 - YE Yang (KOR) 67-70-67-75. 281 - Noh Seung-yul (KOR) 72-69-70-70. 283 - John Huh (USA) 69-73-72-69, Lee Kyoung-hoon (KOR) 74-71-68-70. 284 - Bronson La’Cassie (AUS) 70-67-73-74. 285 - Kim Seung-hyuk (KOR) 72-73-70-70. 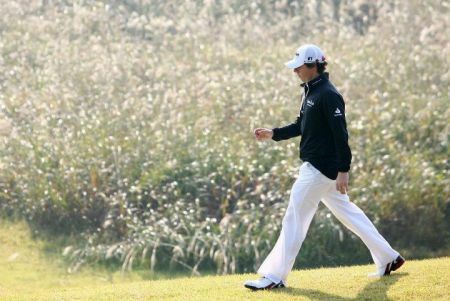 287 - Kim Dae-hyun (KOR) 73-71-73-70, Andre Stolz (AUS) 76-71-69-71, Lee Soo-min (am, KOR) 68-73-74-72. Rory McIlroy finished tied for third as Korean young gun Bae Sang-moon successfully defended the Kolon-Hana Bank Korea Open at Woo Jeung Hills GC near Seoul. Bae recorded a one-stroke victory over compatriot Kim Dae-sub at Woo Jeung Hills Golf Club for his second big win of 2009. “It just wasn’t to be today," said McIlroy, who closed with a one over par 72. "I really had a good chance to win but nothing happened for me on the back nine and Bae just played great. Well done to him." US Open champion Rory McIlroy closed with a bogey six to card a three under 68 and finish a stroke behind leaders Ricky Fowler and YE Yang after the first round of the OneAsia Tour’s Kolon Korea Open. Rory McIlroy has made 12 birdies in two days yet finds himself in a five-way share of the lead at the halfway stage of the Kolon Korea Open. Rory McIlroy’s hopes of winning his fourth tournament as a professional took a nosedive when was outscored by 10 shots by new leader Rickie Fowler in the Kolon Korea Open.